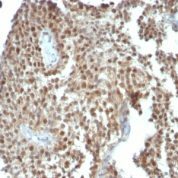 This MAb recognizes a 21kDa protein, identified as the p21WAF1 tumor suppressor protein. This MAb is highly specific to p21, shows no cross-reaction with other closely related mitotic inhibitors. 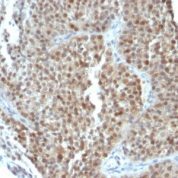 p21WAF1 is a specific inhibitor of cdk s, a tumor suppressor involved in the pathogenesis of a variety of malignancies. The expression of this gene acts as an inhibitor of the cell cycle during G1 phase, is tightly controlled by the tumor suppressor protein p53. 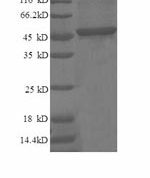 Its expression is induced by the wild type, but not mutant, p53 suppressor protein. 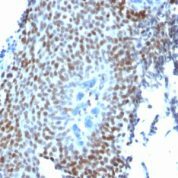 Normal cells generally display a rather intense nuclear p21 expression. 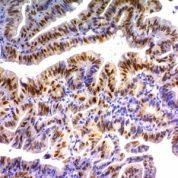 Loss of p21 expression has been reported in many carcinomas (gastric carcinoma, non-small cell lung carcinoma, thyroid carcinoma). 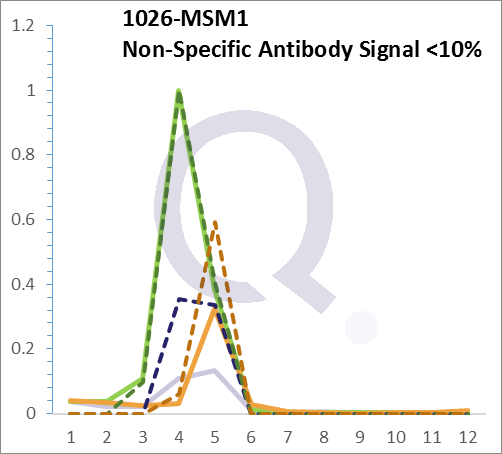 In ELISA, MAb WA-1 is useful either as a solid phase or for detection of p21 protein. Anti-Human, Chimpanzee, Monkey, Mouse, and Rat p21WAF1 Positive Control Sample: HeLa Cells. 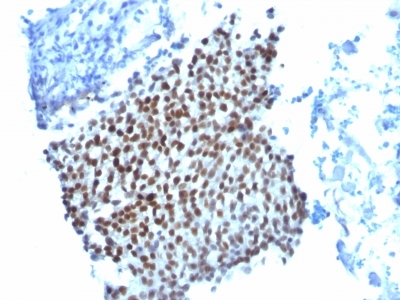 Skin, colon, or breast carcinoma.